Is there a page to see my account billing history? See the billing history for you Fulcrum plan. 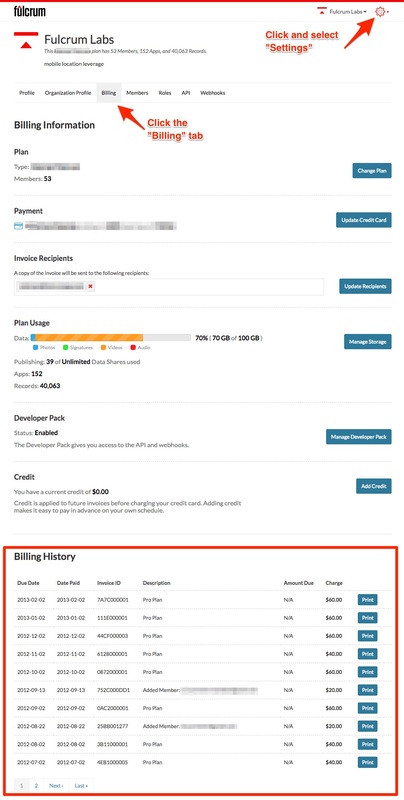 Account owners can view billing history by going to the Settings menu and clicking the Billing tab on the Fulcrum web app. Underneath the "Billing History" section, you’ll see a list of invoices processed for your account, payment dates, and downloadable PDF versions for your records.